After the success of last years’ event the Celtic Fiddle Festival is returning to Halton Borough Council’s Brindley Theatre, Runcorn on Wednesday 21 November. 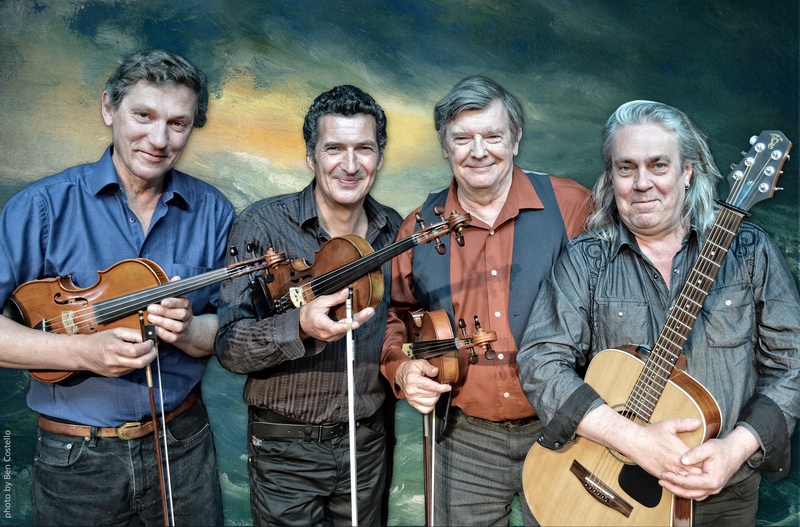 Fiddlers Kevin Burke (Ireland), Christian Lemaître (Brittany, France) and Capercaillie’s own Charlie McKerron (Scotland) showcase a fascinating juxtaposition of international and individual styles. Called “three of the finest folk violinists anywhere” by The Washington Post, Celtic Fiddle Festival celebrates the violin in all its globe-trotting variations. These traditional masters showcase their regional repertoires and together conjure an experience of breathtaking performances. Kevin Burke is a world-renowned Irish fiddler whose formidable career includes the seminal Irish groups The Bothy Band and Patrick Street. Playing the fluid, highly-ornamented style of County Sligo, Kevin is a recipient of the NEA’s National Heritage Award. Christian Lemaître honed his remarkable skills playing the hypnotic Breton melodies at festou-noz (night dances) throughout Brittany, the Celtic region of France. He is a founding member of the group Kornog. Charlie McKerron, the newest member, is one of Scotland’s finest fiddle players, having touring the world with Capercaillie amongst his many other projects. In concert each artist plays a solo set, showcasing their individual musical styles and traditions, followed by a collaborative set featuring all three fiddlers. Together, they play with such relentless precision and fire that the tunes transcend all cultural and geographical barriers, leaving the audience with a memorable musical experience. Tickets are £19, £18 from www.thebrindley.org.uk and the Brindley box office on 0151 907 8360. Previous articleHeadz Up in Halton!